The wellbeing day retreat I attended has left an eternal imprint on my heart. It was a day filled with love, acceptance, education, fun, laughter and connection. Cate and Fiona join together with their wealth of knowledge, experience and expertise to offer an experience that is not only unique but truly inspiring. I am eternally grateful for the magic these two beautiful ladies share in our community and beyond and cannot praise them highly enough. Michelle Pietroboni, Outreach Case Manager, Young Parents Program. 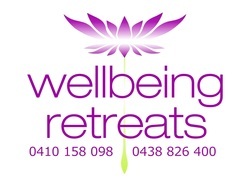 It is our pleasure to have such delightful caring persons delivering our Carer Wellbeing Retreats. The feedback has been incredible and group feedback reveals a very nurtured and re-nourished group. ​A huge WIN! Outcome achieved! Wonderful. Fiona & Cate were educational & inspiring ~ I have been using a lot of their ‘coping mechanism’ over the past few weeks, & will continue to do so. So from the bottom of my refilled heart ~ THANK YOU, so much!!! I hope you are able to offer more of these retreats to many others, so they too can benefit ~ physically, emotionally, mentally, & spiritually! A day at one of your Wellbeing Retreats was like having a weeks’ holiday. As a full time business woman and exhausted carer for a child with a disability, I came away from the day feeling calm, completely centred and happy. ​look forward to future collaborations. The feedback has been incredible and email comments reveal a very nurtured and re-nourished group. A huge WIN! Outcome achieved: Wonderful. Sue. Support Co-ordinator Older Parent Carers, Samaritan Foundation NSW. Patrick, Director Gosford Conservatorium of music. The day was wonderful. I came not knowing what to expect and I am leaving feeling blissful, relaxed and at peace. Everything was well done. The facilitators, Cate and Fiona were lovely leaders. Very caring.